What is amazing is that this crime – which Washington inflicts with impunity to every nation that refuses to follow its dictate – this crime has grown to become a “normality” – and the rest of the western civilization simply accepts it – well “civilization” – if we can still consider ourselves a “civilization”. 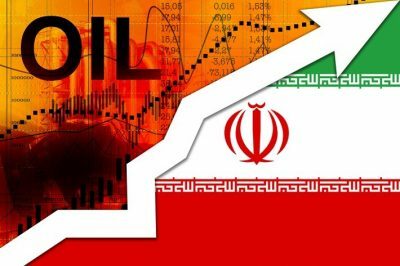 Having said this – these sanctions are actually toothless, they are ineffective, as Iran will keep selling oil and gas to petrol companies and honor their long-term government contracts. Of course, there are countries afraid of being “sanctioned’ by the United States if they continue dealing with Iran. But by and large – they are few and fewer, because even the western world starts seeing that relying on Washington is like committing slow suicide. Many have decided to go their own way – even the EU talks about it, including creating their own transfer system to avoid going through SWIFT for monetary transfers. SWIFT is the western totally privately-owned transfer system, thanks to which financial sanctions are possible. SWIFT is linked to Wall Street banks – through which all western transfers have to transit. In the meantime, of course, Iran has been “cut off” SWIFT as mandated by Trump, but that is of little importance, because Iran has linked up – as part of her Economy of Resistance – with the eastern SCO – Shanghai Cooperation Organization – using CIPS – the Chinese International Payment System for international monetary transfers. Of course, Mr. Trump knows it. So, his sanctions are not much more than a constantly repeated propaganda stint, trying to impress the world, like “we can put any country to its knees, if we want to” — Sorry, Washington, no longer. These are times of the past – and your dollar hegemony is nearing the end – It’s just a question of time. PressTV: Do you think considering all the countries that seem to defy US sanctions – has anything changed in recent times? It would have been unthinkable only 5 to 10 years ago that countries like Iran, Venezuela and others trade hydrocarbons, and other goods and commodities, in other currencies than the US dollar. Today it has become a common occurrence. It started some 5 years ago with Russia and China, when they detached themselves from the dollar dictate – opening swap accounts in their respective central banks and started trading in their local currencies, circumventing the SWIFT payment system and the “obligatory” Wall street banks. This is also reflected in the fact that the US dollar is rapidly losing its status as the world’s reserve currency. When some 20 years back more than 90% of all reserves were held in US dollar denominated securities, today that figure has shrunk to less than 60% – and is going down as we speak. The Chinese yuan is largely replacing the dollar as reserve currency. Some two years ago, the Yuan was admitted by the IMF in the basket of reserve currencies. Since then the yuan has become officially recognized also by the west as a viable reserve money. Many treasurers around the world, who may have been afraid before to divest their dollar reserves into yuans, now dare do so. – This, in the not too distant future may mean the end of the dollar hegemony. However, coming back to your earlier question related to sanctions and their effectiveness, there is an important “Fifth Column” in Iran, and they will use these sanctions against the Iranian Government, no matter whether these sanctions have any legal standing and impact or not. They will try to influence the Iranian people to believe that Washington is punishing them because of their government. – And that, in my opinion, is what the Iranian Government has to focus on – the Fifth Column – those infiltrated or local enemies of the state that try to damage Iran from inside.